I have been drawing on paper to practice some skills. It really is such a change from working on stone and I feel a little out of practice! I love using pen and ink, copic pens (why do they make so many colors!!!!) and working with thick, rich papers. The door in the picture is taken from one of the hundred doors that I photographed when I was away last year. 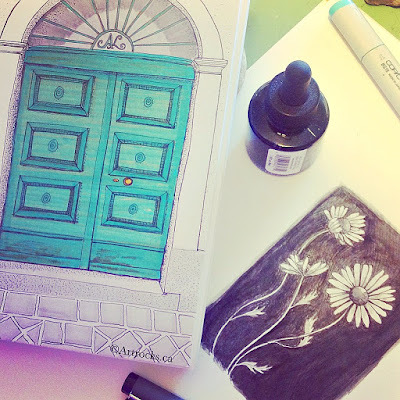 The turquiose door was on the beautiful and colorful island of Procida.